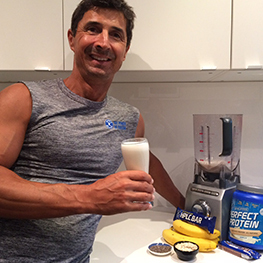 MARCUS BONDI’S No 1 Smoothie Recipe for pre/post workout recovery and muscle tone. Hey friends, to ensure optimum physical results from your training regime, it’s crucial to have a regular intake of top quality protein before and after your awesome fitness adventures! 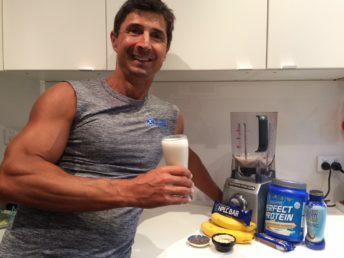 I have been guzzling delicious Aussie Bodies’ protein smoothies and shakes for over 10 years; even way before I was an ambassador for this amazing company. It’s a fact that I trained to break all my Official Guinness World Records by drinking a Protein Revival within 5 minutes of one of my crazy-intense full-body power workout sessions! The powerful truth is…. Delicious! 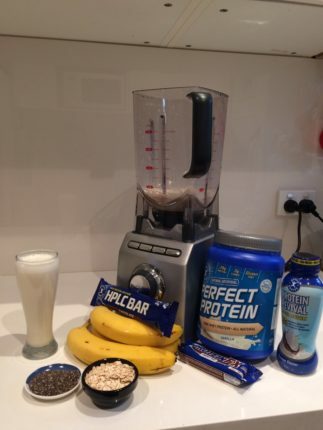 Feel free to add berries or more/less Perfect Protein powder as you see fit!